Home Announcements What is the DSE Support Offering and Is It Right for Me? Be the first to comment. One of our four pillars at PowerObjects is Support. We are passionate about offering responsive support for Microsoft Dynamics 365. We recently added a new support offering called Dedicated Support Engineer (DSE). Read below to learn more about it! 1. What is a Dedicated Support Engineer (DSE)? A DSE is a single point of contact for all support inquires. The DSE will drive both proactive and reactive engagements to help anticipate and address issues before they have an impact. Outside of dedicated resourcing, you will have monthly review meetings with your DSE and Support Lead and/or Sr. IT Manager. These discussions will include a review of open and closed support tickets, a state of the business discussion, and any open topics on either end of the partnership. 3. What kind of customer is this offering best for? We recommend this for any customer with support needs exceeding 100 hours in a year or clients with complex deployments looking to streamline their support engagement. 4. What does it cost and how am I invoiced? With the DSE offering you can expect simplified billing. You will receive one invoice at beginning of our engagement. We have seen that this helps organizations with planning and reducing overhead. Our standard support offering invoices weekly. When signing up for a DSE you are purchasing a block of hours. There is no commitment to purchase another block. Any project work that requires a SOW – although your DSE will still be engaged and aware of project work. We want them to have all eyes on what is going on within your deployment. 7. Okay, you’ve convinced me! How do I get started? 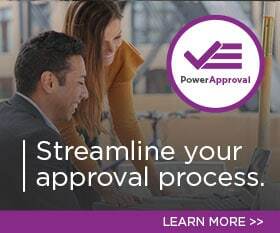 You can begin this process by contacting PowerObjects Support or working with your account executive. Does DSE sound right for you? Learn more about DSE and our other support offerings at our website here! by Joe D365	April 25, 2018 Be the first to comment.